It’s Hump Day all! Yay… and we are halfway to the weekend. I am looking forward to a couple of events Saturday and Sunday and plan to wear this beautiful bomber jacket, a Johnny Was design. I know many of you may have heard of the brand but if I am introducing you to it for the first time, I’m delighted. Their designs cross cultures and defy trends. Yes, there is a bohemian spirit and a sense of authenticity. Their inspiration comes from anything beautiful, genuine and special and can be likened to a striking piece of artwork. (Just like all of us!) Johnny Was is known for their signature embroideries, luxe fabrics and effortless silhouettes. When I wear Johnny Was I feel like my personal style always shines through. I love the fact that it is slightly quilted since it’s still cool here in the Carolina’s… especially at night. If my upper arms are cold, I act like it is below zero and shivering, (the same in air conditioning). Anybody else with me? 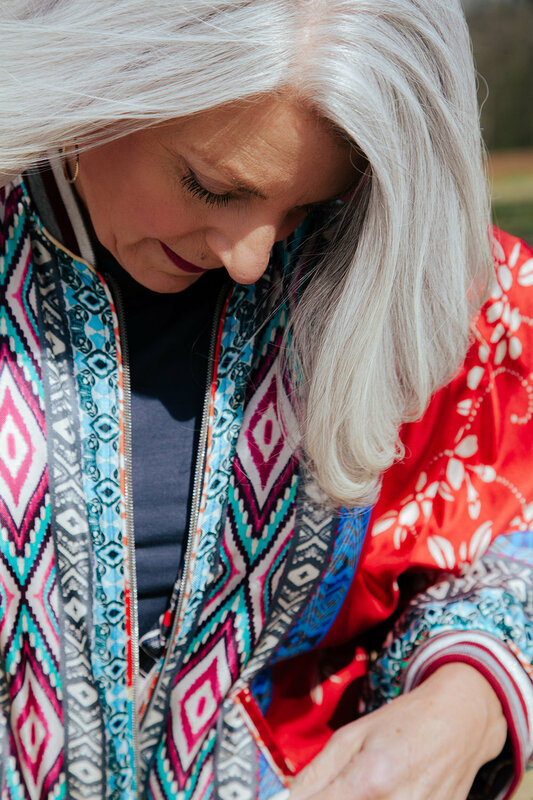 So the fact that this bomber jacket is REVERSIBLE with two different silk, color pallets and designs, and will keep me warm is a huge bonus. I will be wearing this on repeat from now until… fall. 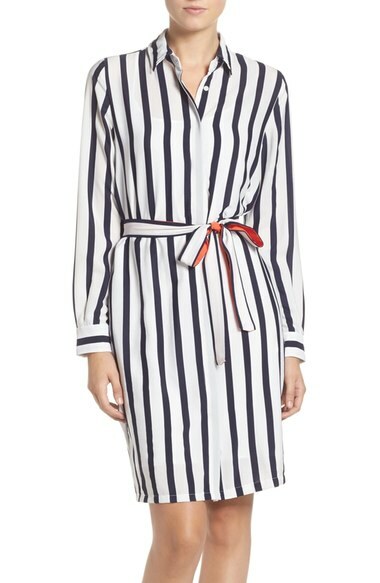 Definitely an investment piece with limitless options for your wardrobe. If you are planning to travel, this jacket will see you through any journey, whether a weekend jaunt or a 10 day cruise. I have paired it as a casual look and then dressed it up a bit with a Johnny Was dress. 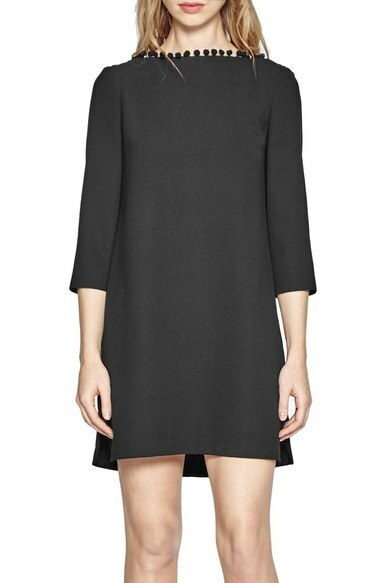 The dress is an incredibly soft knit and versatile, too. 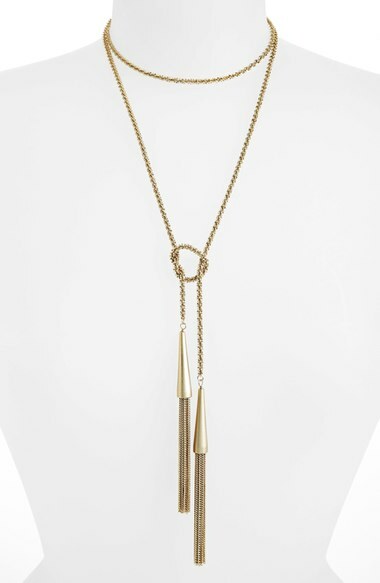 Another great piece to add to your wardrobe. 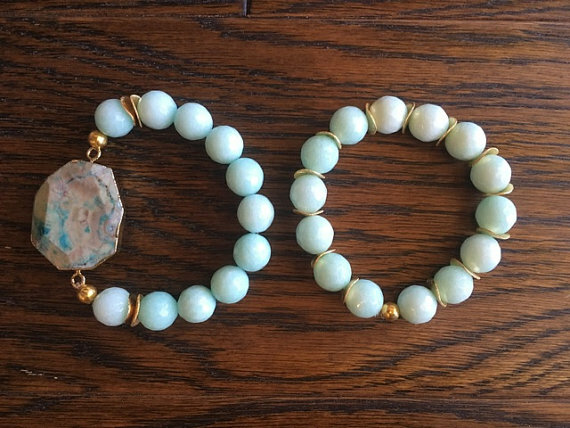 I have posted shopping links below. Do you own any Johnny Was pieces? If not, definitely check them out for spring and summer. So many beautiful clothes, that are so much fun to wear and style! Thank you to Johnny Was for sponsoring this post! And thank you to Jennifer Austin Photography for her wonderful work behind the camera..
Hope everyone has had a great week! It’s a beautiful day here in the Carolina’s and it’s been a great week. My newest grand-daughter was one month old yesterday and I found out I was a finalist in the Shorty awards. YAY! And thank you for everyone’s support. As the underdog, would not have made it without your help. Thank you. My go to much of the time is a little black dress for various occasions. If you look at my Instagram, you will see that I wear a lot of black year-round A little black dress is what I choose when I don’t know what to wear. 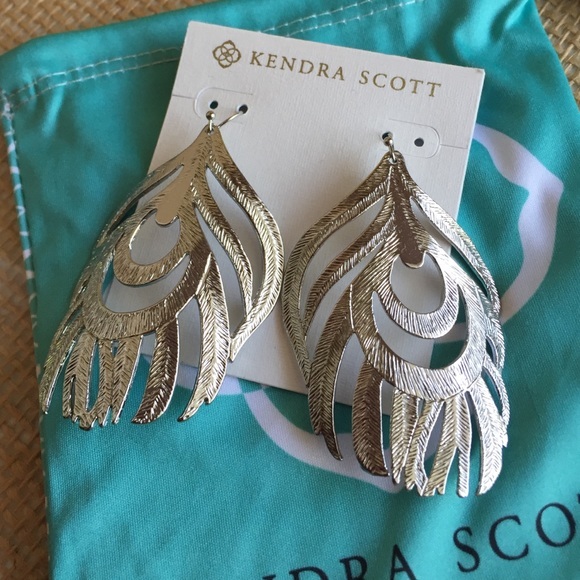 They can easily be dressed up or down depending on your accessories and rarely is black a bad color for anyone. 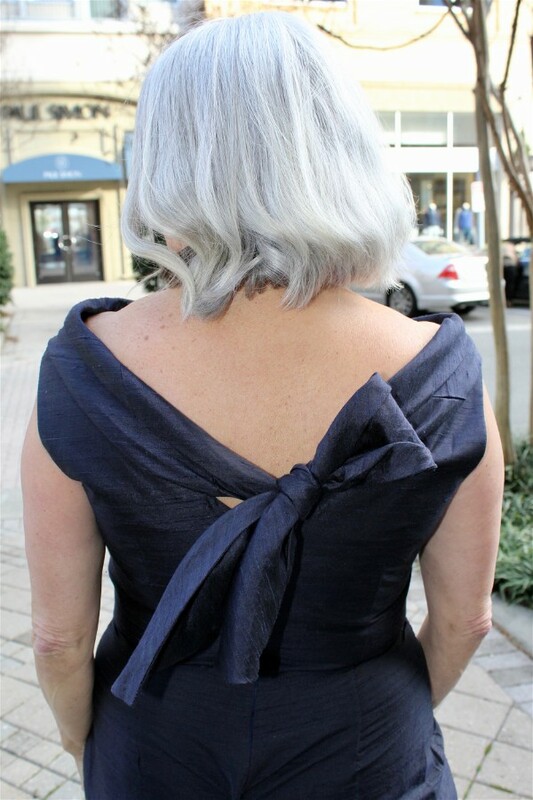 The "little black dress" is considered essential to a complete wardrobe by many women. I’ve heard that it is a "rule of fashion" that every woman should own a simple, elegant black dress. So as we head into the spring, I put together some of my favorites. Most of these are pretty simple allowing for accessories of your choosing. 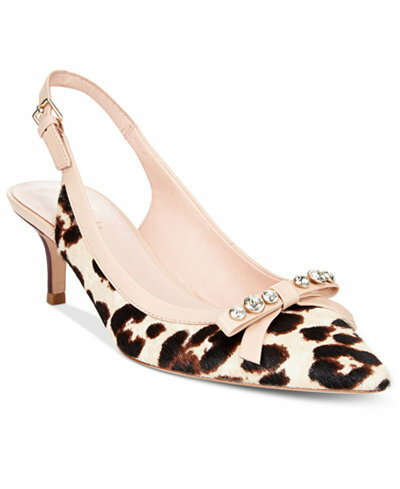 I wear black pumps year round but as we get closer to spring and summer I might suggest a kitten heel sandal and definitely a chic handbag and fun earrings. 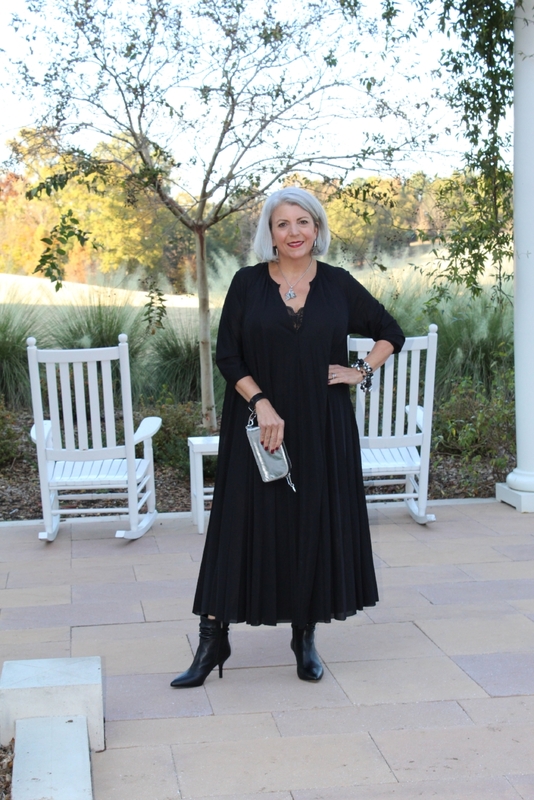 In fact, watch for an upcoming post on accessorizing a LBD. And remember, nothing says a little black dress has to be skimpy. The “little” refers to the shorter style and not a long evening gown. Do you have a favorite you wear on repeat? 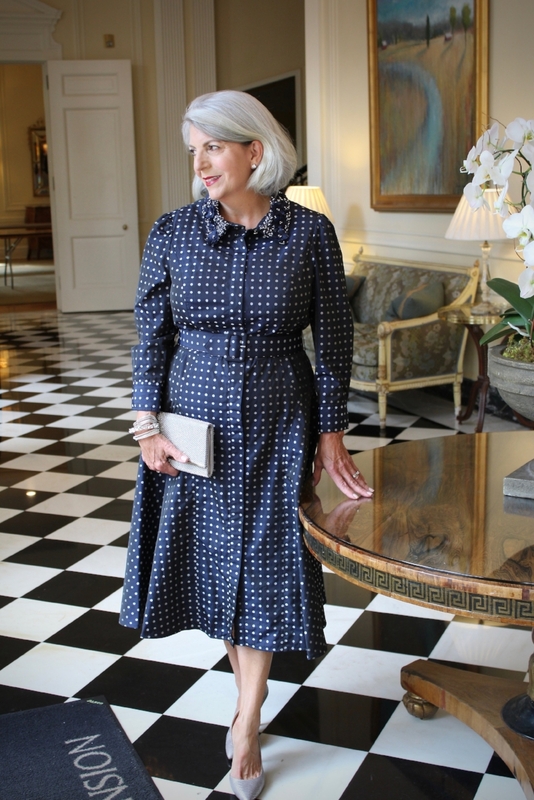 The one I am wearing is a beautifully cut, shift dress by Lafeyette 148 with pockets. I love any dress that offers pockets. I found this at Paul Simon Woman in Charlotte. Knowing that everyone has different tastes and budgets, I’ve provided shopping links for several choices below. 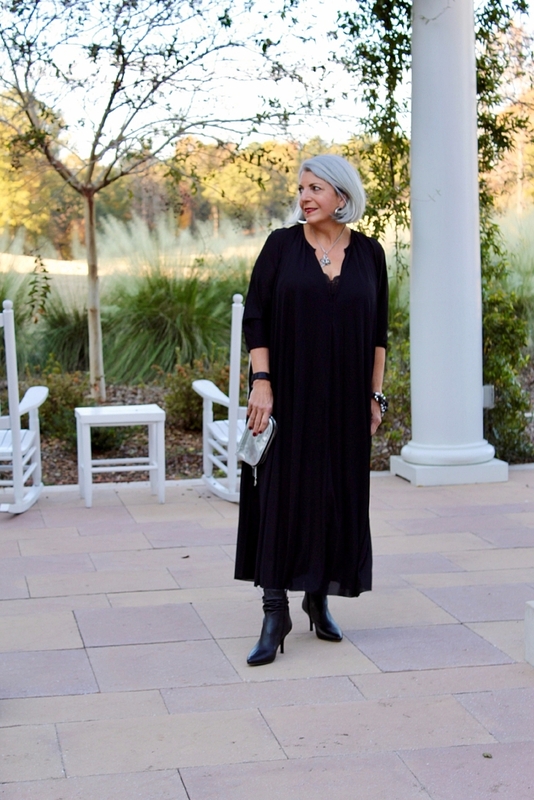 Are you looking for a special LBD? If so, what’s the occasion. Me? I just keep adding them to my closet to give myself many choices. 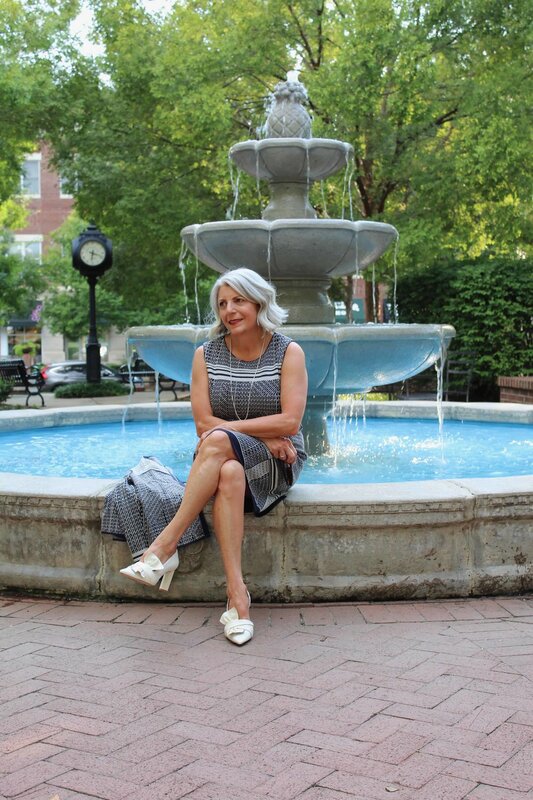 As always, my goal is to share chic ageless style and endless fun, from a sincerely silver perspective. Including fashion, beauty, and relevant lifestyle information as we share this ageless journey together! 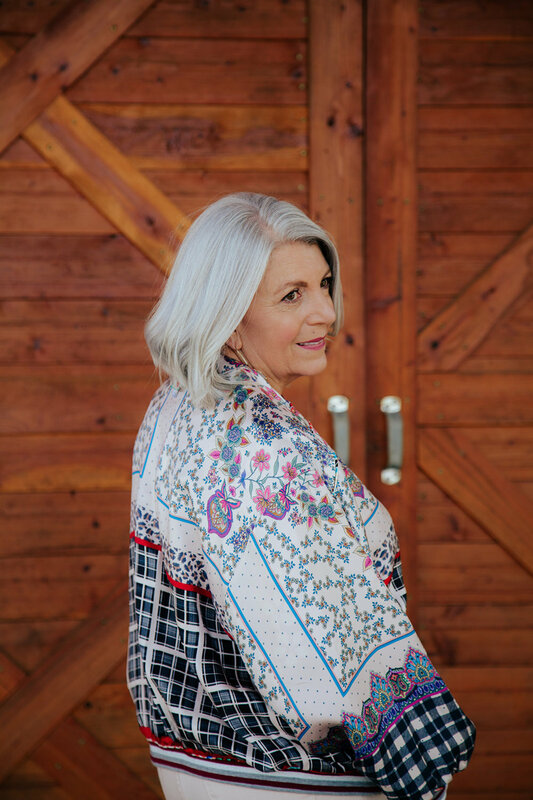 With age comes wisdom and a better understanding of the world, which is beneficial to the mature woman navigating her way through the workplace. Below are five, fabulous women whose careers only improved with experience and age! Viola Davis: At age 53, Viola Davis is an extraordinary actress, and has won an Academy Award, an Emmy Award, and a Tony Award. She is known for movies like The Help and Fences to her hit TV show, How to Get Away with Murder, where her outstanding role earned her an Emmy, making her the first black woman to do so. 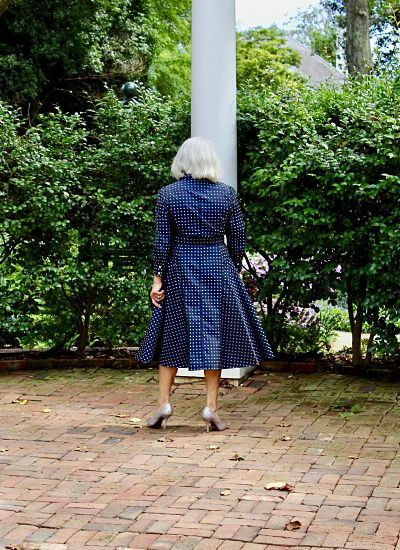 Davis has made a name for herself that is known by many, and she continues to do so as an exceptional, ageless woman. Katie Couric: Many know Couric from her positions on The Today Show as well as CBS Evening News, where she was acknowledged as the first woman to anchor on an evening news program. At age 61, she has received copious awards for her hard work and dedication to her craft of broadcast journalism. At age 57, she started her own company, Katie Couric Media, where she continues to call attention to important topics and relevant news stories. Meryl Streep: At age 69, Meryl Streep is one of the most well known, and highly esteemed actresses of her day and age. She has earned the title of having the most Oscar nominations out of any actor, and she has won multiple awards for her outstanding performances in a multitude of films. Vera Wang: At age 69, many know Vera Wang as an iconic fashion designer, but she originally figure skated and trained to compete in the Olympics. Even though she did not make the team, she did discover a new passion. After pursuing careers for Vogue and Ralph Lauren, at age 40, she entered the world of bridal wear. Today, she designs beautiful wedding dresses and gowns that have been worn by many, including many celebrities. Aging is obviously an inevitable part of life, and with another year comes new experiences, opportunities, and memories to be made. While many women hope to discover their calling in life early on, there’s nothing wrong with taking time to grow and mature into the person you want to be, or to simply rediscover yourself. So don’t turn your back on opportunities or experiences and keep an open door policy to making new memories and reinvention so that you can be the best person you can be at any age. Thank you to Rickie Freeman Teri Jon Dresses for sponsoring this post. Maybe odd but when I uncover a brand I am not familiar with, I always google them to find out more! I love to read the stories behind the brand and like to feel the connection. 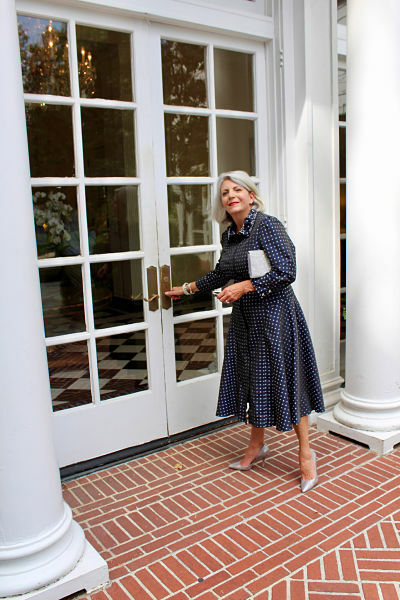 I was in a fun boutique in Hilton Head earlier this summer working with a young woman from their headquarters on an upcoming project, when I noticed her dress and commented how much I loved it and asked if they had it in a medium? She went to look and shared that they did not...however five minutes later she tapped on the door to my dressing room and said here... try mine on and see if you like it! I was flabbergasted first by the fact she would do this kind gesture and secondly by the awesome dress. Unfortunately, that particular dress was sold out but I knew that the brand was special because of the way I felt in the dress. Do you ever feel that way when you try something on? I would like to introduce you to Nic and Zoe. I could tell their story but feel they do a great job! Read about them here. I think the best part is that they understand the everyday hustle a woman goes through. As we all know... it's not easy!! And we do deserve to feel good in whatever we wear!! I love great knitwear! Whether it's casual or dressy, it moves with you. And that is important. 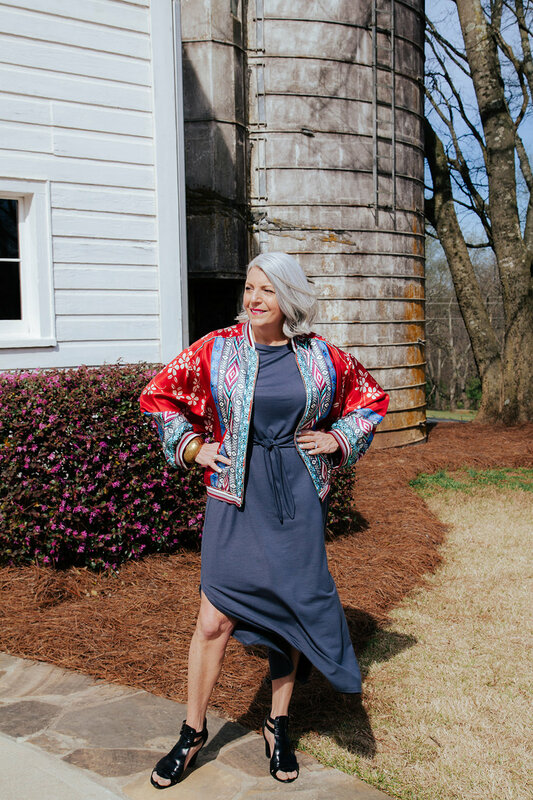 This pretty dress and matching Nic and Zoe jacket, is perfect now as a sleeveless dress or with the jacket for fall. Matching sets will be big this year so be sure to check this one out here and here. Also, we have to talk about the shoes. Yes, so stylish but oh so comfy! I know some you may not wear this high of a heel but they have many lower heels to choose from as well. You can heck them out here. Nic and Zoe has eight stores and you can look them up here and is also sold online here. 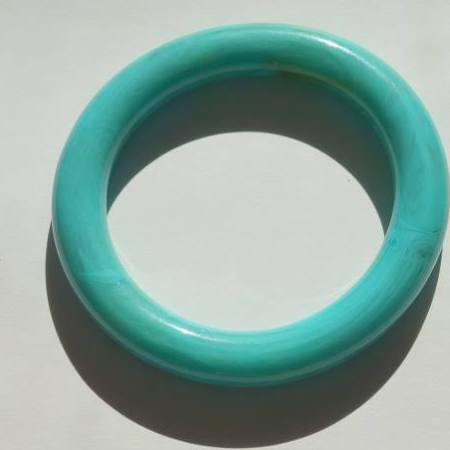 They are also offer in a number of different boutiques across the country. When you run across them, I highly suggest you try the clothes on and hope you have the same experience and revelation I did. I hope you you had a great week and if you recently joined... welcome!! 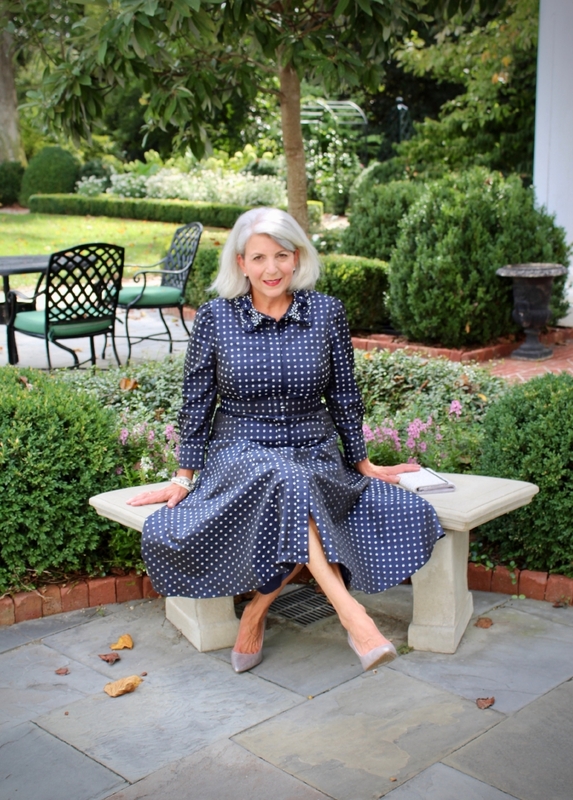 My goal is to share ageless style, and endless fun, from a sincerely silver perspective. Including fashion, beauty, and relevant lifestyle information as we share this journey together! Thank you for reading my blog! 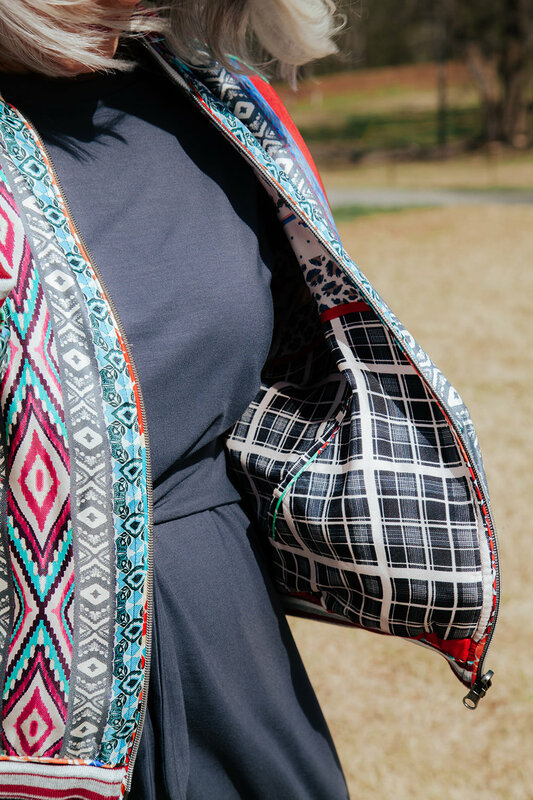 As a result of a recent post I did for Scoop Charlotte, I was provided the opportunity to work with Paul Simon Women, a boutique in Charlotte. I'm sorry to say that I had not been to this boutique before... but will not be a stranger again! 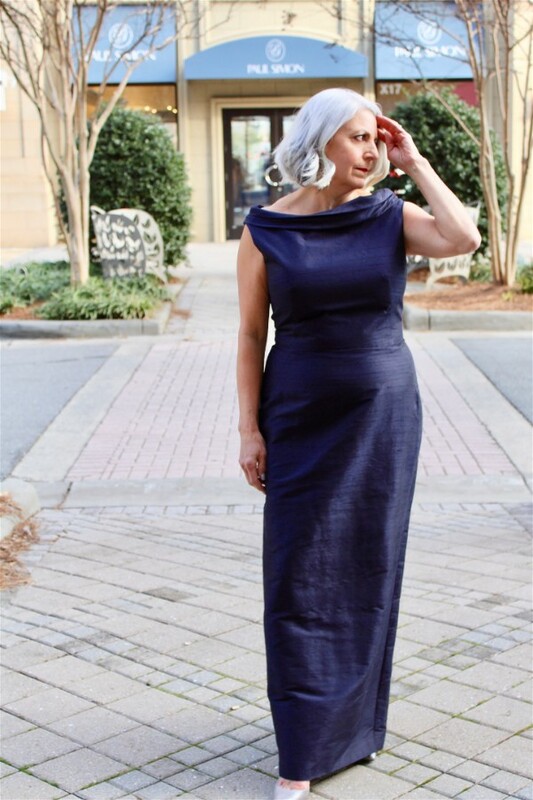 What led me to this work with Paul Simon in the first place was a blogger friend that had asked for some formal dress advice on a very special occasion for her as MOB/Mother of the Bride. Scoop Charlotte paired me up with PSW to help with my endeavor and help they did and more!! You can read my post on Scoop Charlotte here. The more is the fact that I fell in love with the store and their classic, chic lines but also their wonderful staff. The day I was there, the manager, Johann, had on this beautiful black knit dress which I commented on. Although I was shopping for MOB/MOG, I knew that it likely would not fit into my post, featuring 5 different special occasion/evening wear outfits. However she insisted, I try it on. Needless to say I did, and fell in LOVE with this dress by Sympli. I had heard of the brand in the past from a couple of female executive colleagues, who traveled as much as I did. They loved the brand and the wearability for travel and versatility. (Hopefully, a collaboration is in the works for the near future.) My friends had told me about the brands strong following and the staff at PSW reiterated that point. PSW is one of a few "select" boutiques in the SouthEast offering the Sympli line, which is based out of B. C. Canada. 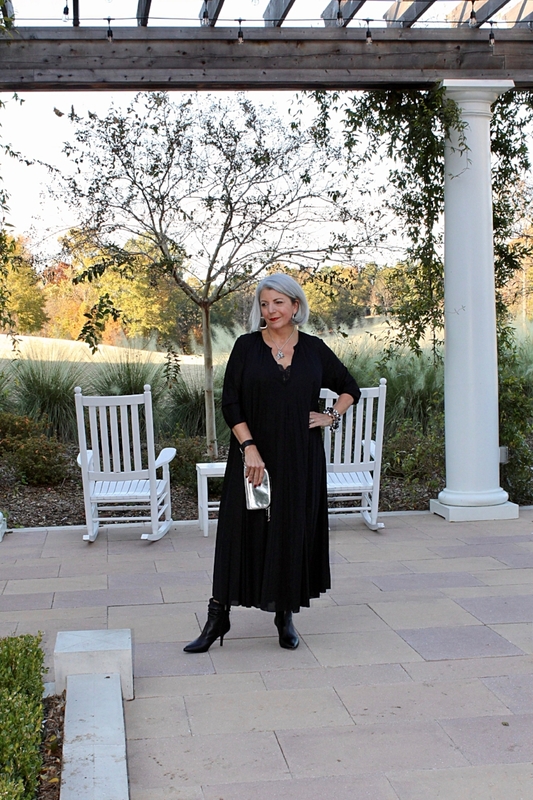 I hope you enjoy these pics of this beautiful black dress and how I styled it. Why do I love this dress so much? First and foremost, I love the fit! Secondly, it can be dressed up or down with the right accessories. And next, it can be worn as a v-neck or round neck by "simply" putting it on in reverse! If you are traveling, I would wear this with Chuck Taylor low-top converse or flat, fun sandals during the the day and with stilettos or strappy sandals into the evening. In fact, Johann said someone had recently purchased it for a black tie event. I could definitely see that. You will see this dress in a future post and I will definitely be dressing it down! 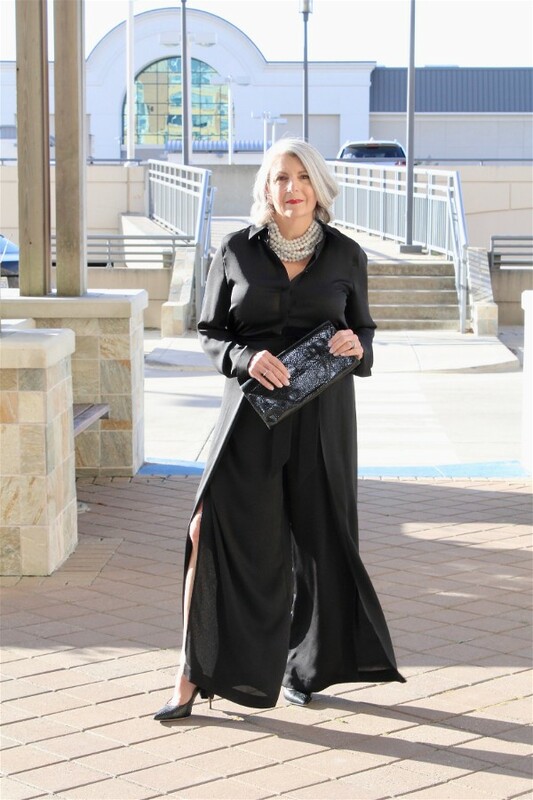 To purchase this dress, clutch and earrings, contact Paul Simon Women here: this Sympli dress is $230, the bag is Lilla P, $128, and the earrings are Samantha McCroll $85. If you have a chance to stop by Paul Simon Women, please do and tell them that Jan from Silver sent you!! I should also mention Paul Simon offers men's clothes, too! I need to take Mr. Silver by soon. Have a great rest of the week and as always, thank you for reading the blog. 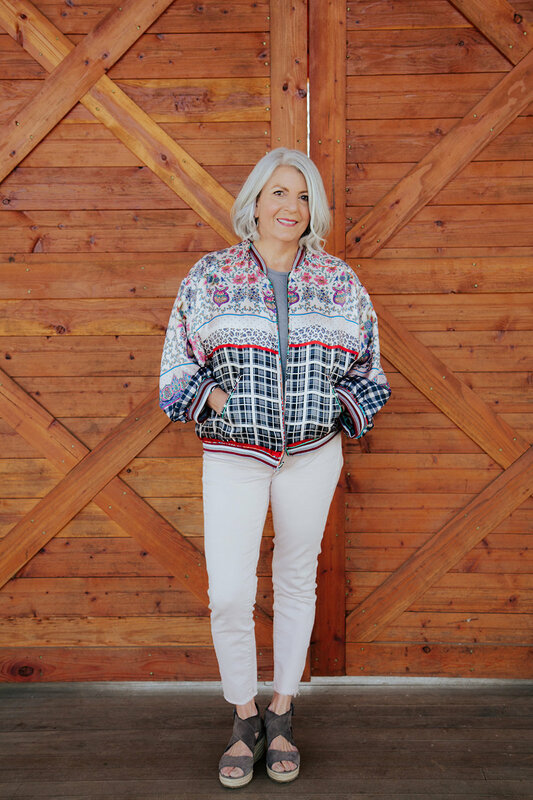 My goal is to share chic, authentic and ageless style; covering fashion, beauty, and relevant lifestyle information as we share this journey together! I really appreciate you! Hope your week has been great and that your holiday season is starting out fun! Getting ready this week for one of many upcoming holiday parties and decided to put together a few different holiday outfits for you. 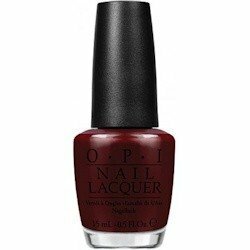 Two are dressy and a couple more casual and fun; Holly Red, LBD, Casual Plaid and Naughty! Please check the gallery for all the details. 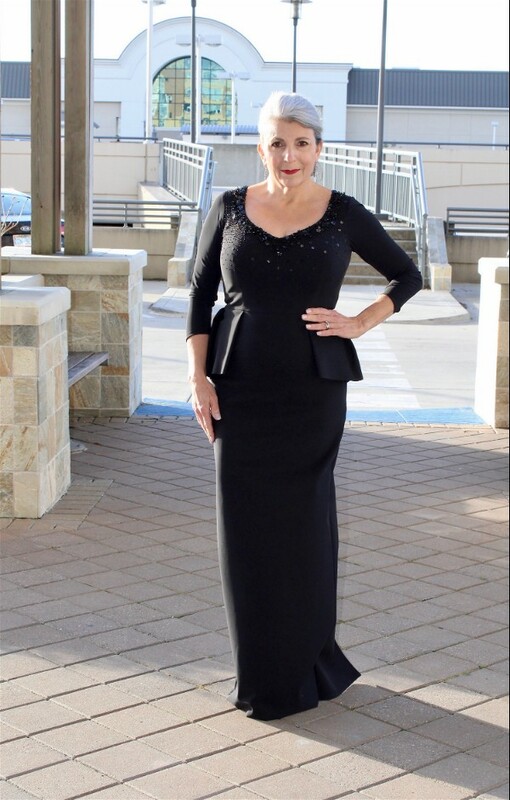 In my opinion, the most important point in planning an outfit for any occasion is to make sure that you are comfortable and feel great about what you are wearing! That way you can relax, enjoy family and friends and feel confident. Then, as the night unfolds and you feel like dancing on the table, (if your host does not mind) go for it! And have a holly jolly great time! !